This simple homemade shaving soap recipe is great for beginner soapmakers still getting their feet wet. It combines some pretty basic oils along with lanolin and marshmallow root powder for that extra slip. It’s then scented with a dreamy vanilla and fig fragrance oil. Now weigh out the soapmaking oils, shea butter and lanolin and combine in stainless steel (non-aluminum) pot. Heat on the stovetop over medium heat until all the ingredients have melted, then remove from heat and allow to cool. Once both the lye-water and soapmaking oils have cooled to around 95°-100°F you can mix the two together using a stick blender. At light trace add the fragrance oil and marshmallow root powder and mix well to fully incorporate both the fragrance and powder, then pour into your prepared mold. 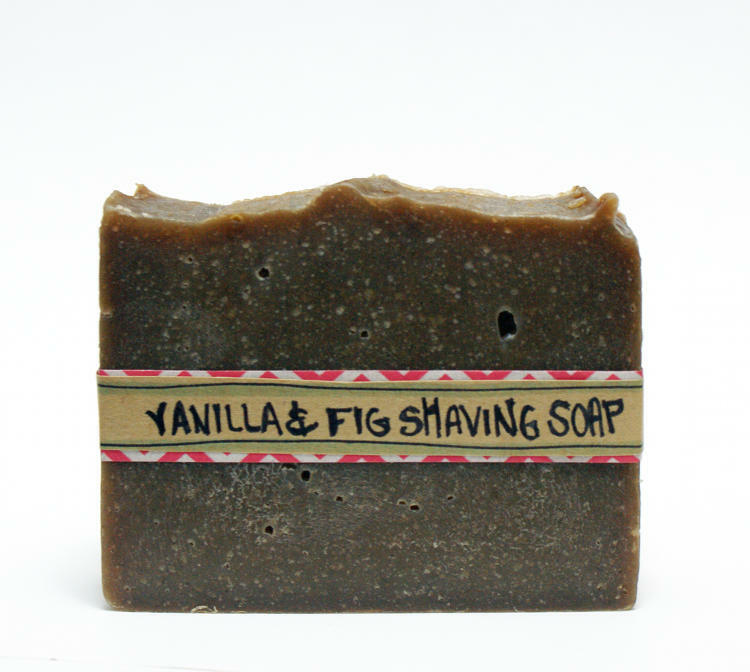 Keep in mind that this fragrance oil will turn the soap a dark brown due to its vanilla content. 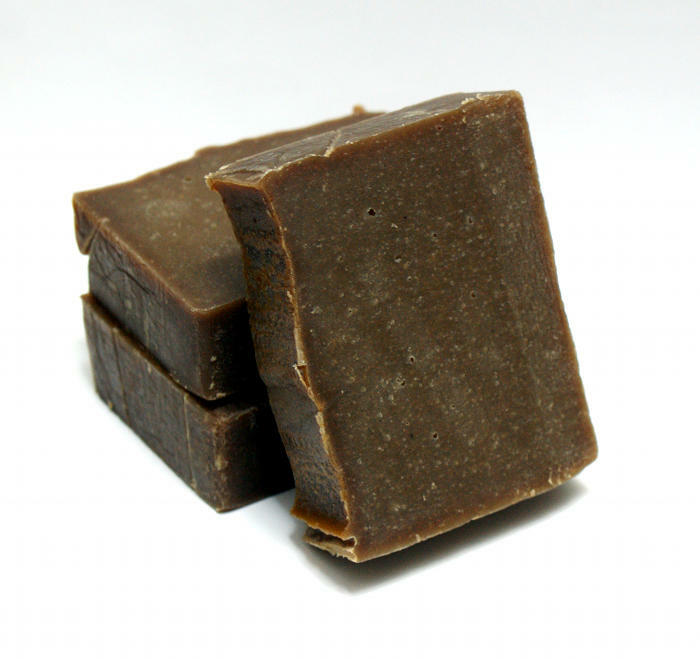 Cover and insulate the soap loaf for 24 hours, then unmold and cut into bars. Wrap and label as desired. Discover more homemade soap recipes and beauty DIY’s by following my DIY Bath and Body Pinterest Board and my Simply Soapmaking Pinterest board. How is the lather. I’ve heard that olive oil defeats the lather. It has a great lather once fully cured. Olive oil actually creates a stable lather. In combination with the shea butter, palm oil and coconut oil, it’s very creamy making it perfect for shaving.